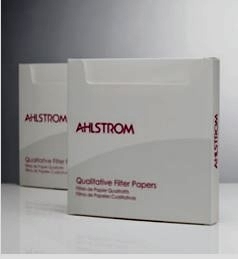 Ahlstrom�s micro-quartz filters are useful for testing hot �stack� gases as the quartz fibers can withstand temperatures up to 900�C. In addition micro-quartz is used when the highest purity media is required. With excellent filtration properties and minimal traces of metals and minerals quartz fibers are dimensionally stable and can be used in the analysis of acidic gases with the exception of HF). Other sizes available for special order. T293 also available for special order.